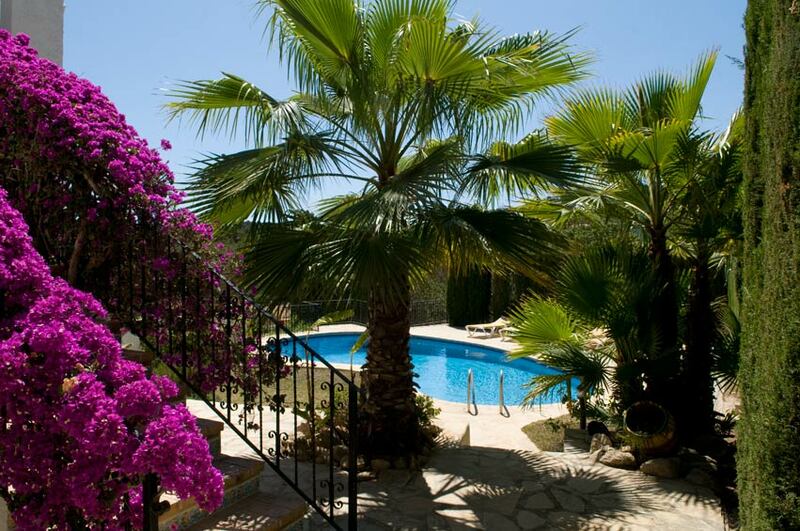 Villa Ines Isabel is a spacious three bedroom, 3 bathroom villa in Javea just 3Kms from Javea’s main Arenal Beach (Playa del Arenal). 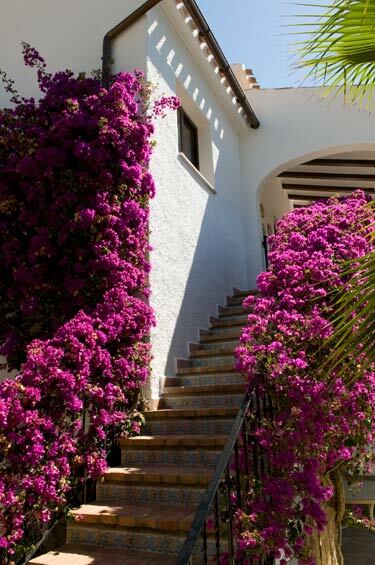 This spacious three bedroom villa is set in pretty gardens and features a large) private swimming pool. Nearest restaurant: Agila, 300m. Restaurante Bacchus 450m. Don Antonio (great for kids) 2,7Kms. 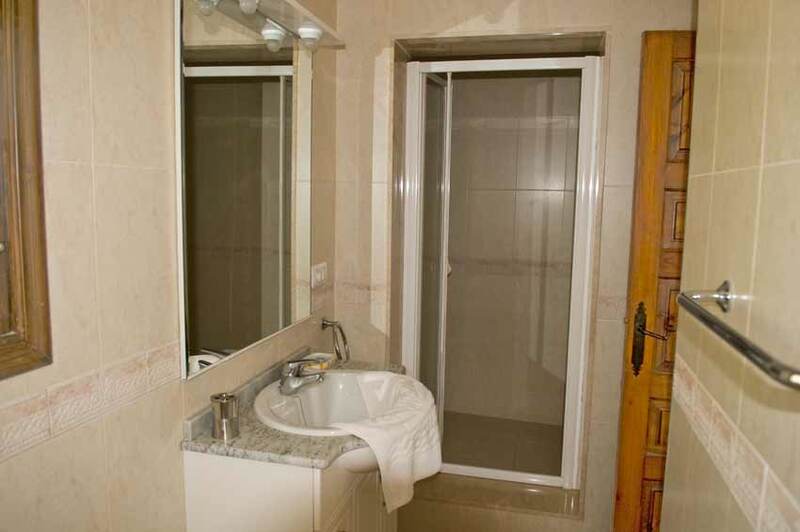 General accessibility: Internal staircase between living area and bedrooms. Not suitable for wheelchair. Steps up to living area. 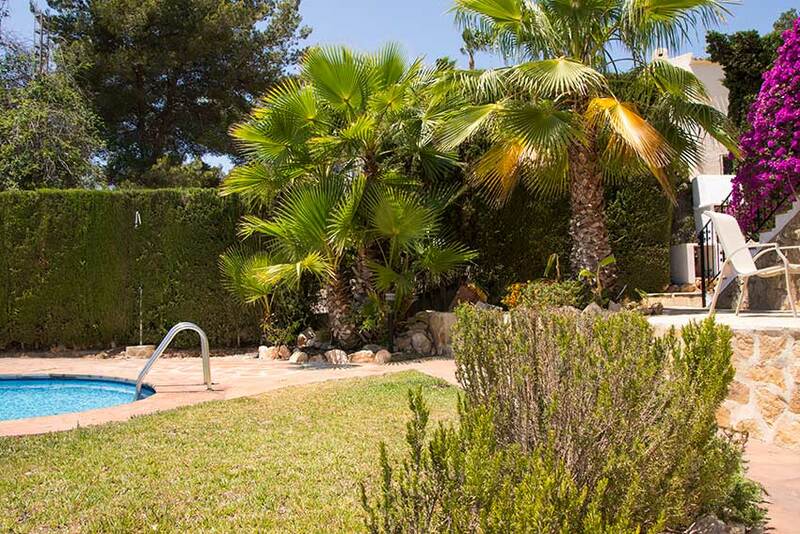 The private swimming pool has a lawn on one side and a large paved area with sun loungers and a parasol on the other side. In the garden there are a couple of other seating areas, one with table and chairs for your al fresco meals. 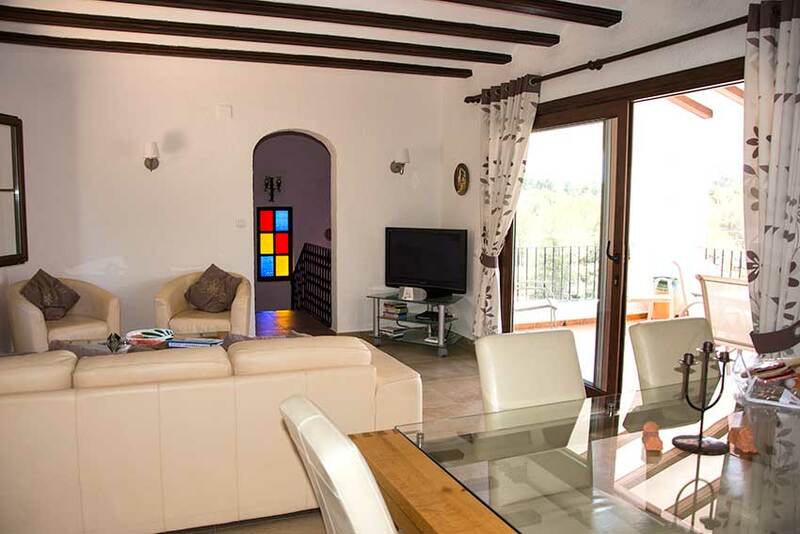 The villa is on two levels with the main living area upstairs and the bedrooms downstairs. Steps go up from the garden to a large covered south-facing terrace that commands views across the valley. Here you have a large table and chairs for meals or just relaxing. The terrace overlooks the pool and the garden. The steps are protected by a gate at the top. Big sliding doors lead in to the comfortably furnished lounge/dining room. 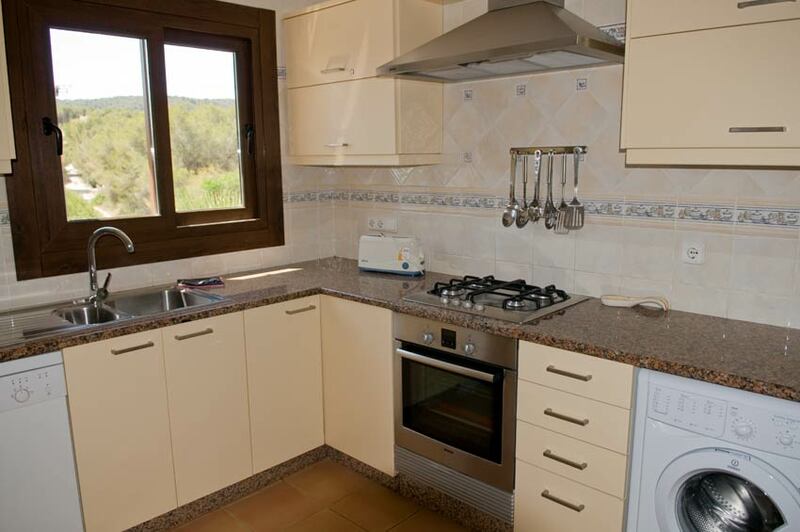 The fully equipped kitchen is off the dining area and there is a patio outside the back kitchen door. 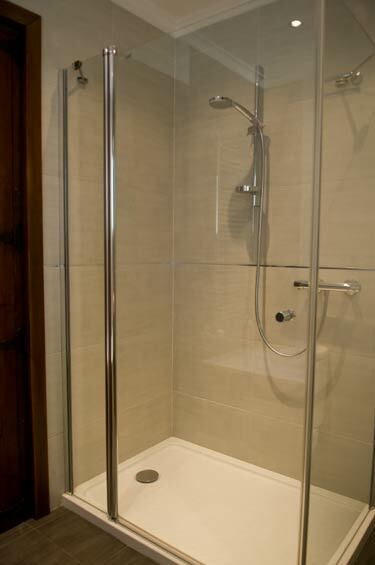 Just off the lounge is a shower room (with basin and WC) and then stairs go down to the bedrooms downstairs. 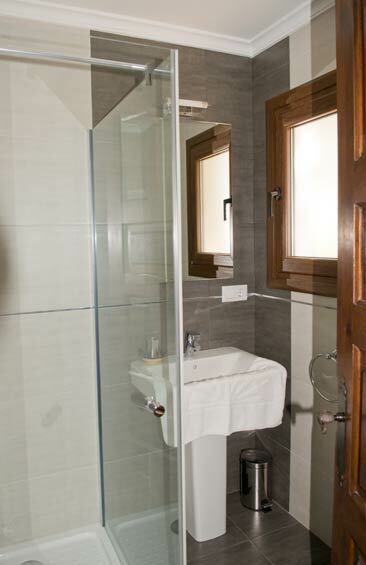 A double bedded room has an en suite shower room, and also has its own private terrace with a table and a couple of chairs. A lovely “private” space. 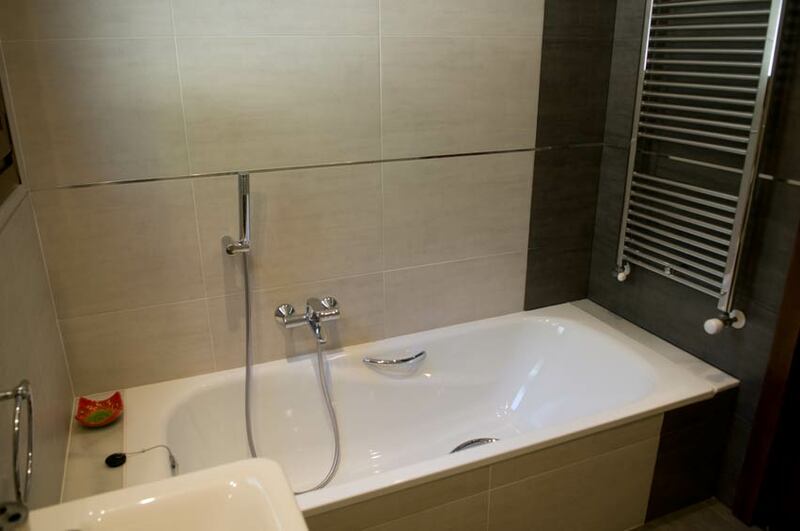 On the lower level you also have two twin bedded rooms and a large family bathroom with bath, separate shower, wc and basin. 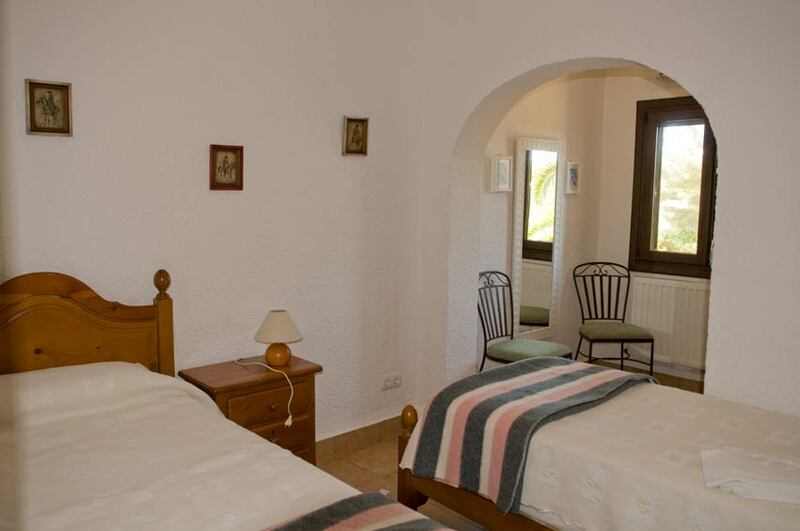 One of the twin bedded rooms has a door out to a small terrace with a table and chairs, and then to the garden and pool. 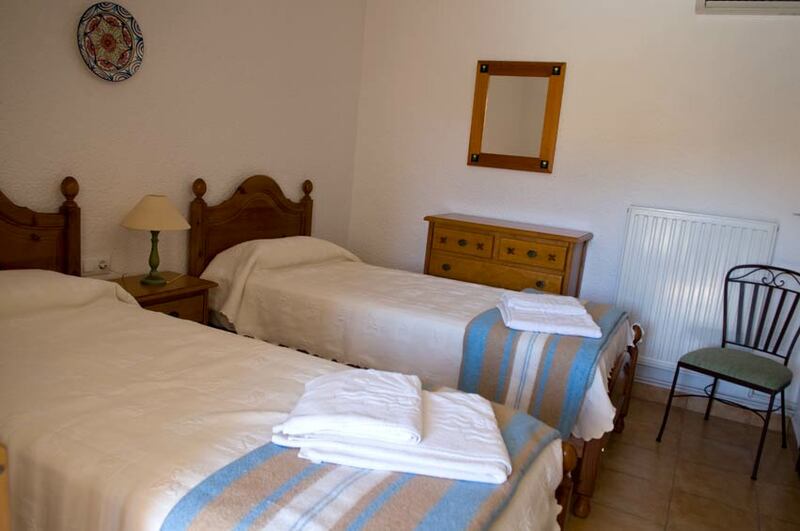 All the bedrooms have air conditioning available from 8pm to 10am every night (July and August only). 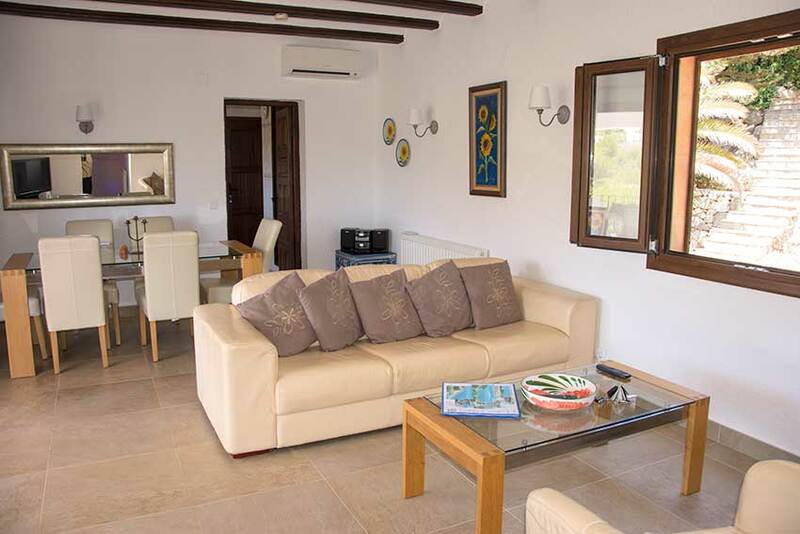 Around the private swimming pool at Villa Ines Isabel you have a spacious paved area with plenty of room for sun loungers for everyone (six) and a parasol provides shade. There is a small lawned area as well beside the pool. 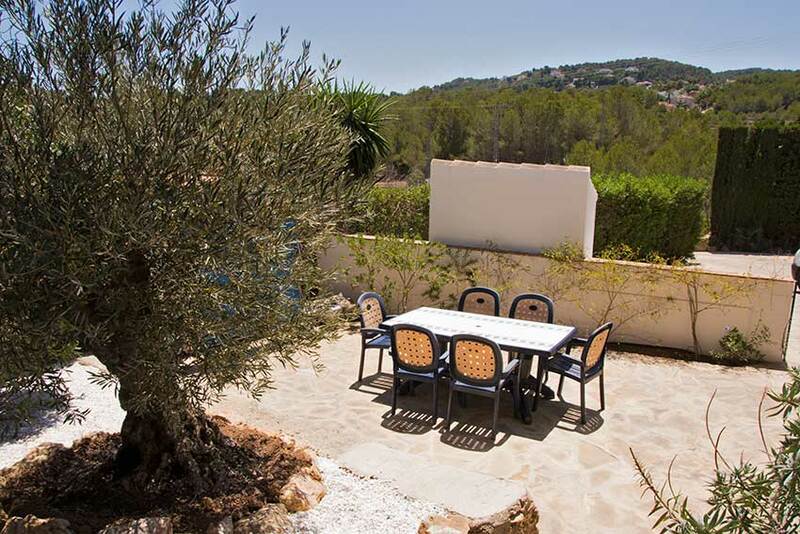 At the side of the villa, shaded by pine trees, is a gated area with table and chairs. 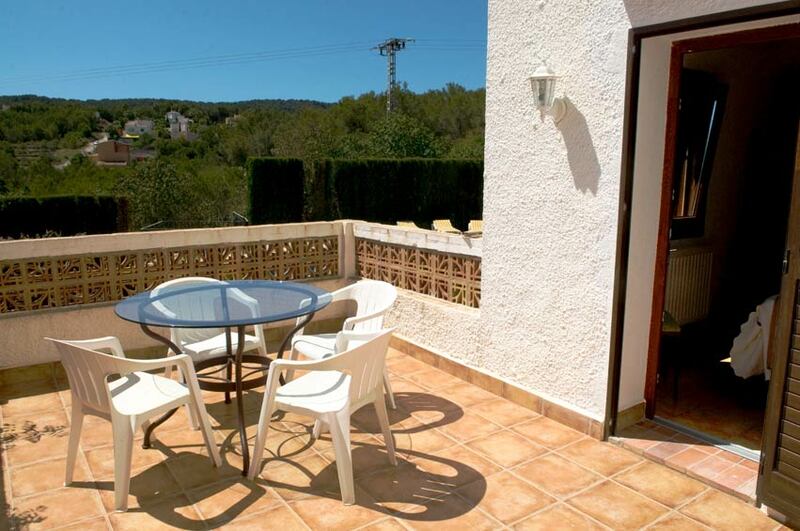 Great for relaxing away from the pool area and for enjoying lazy al fresco meals. 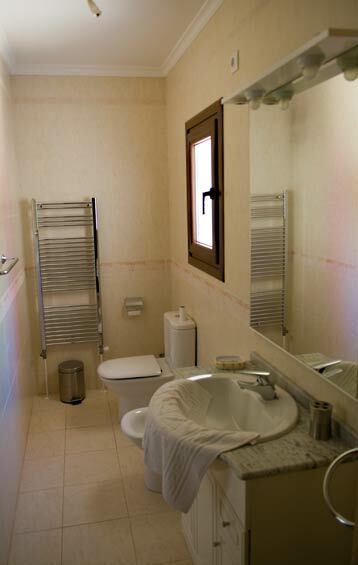 The whole property is fenced and gated and there is ample parking for two or three vehicles. Availability and prices are always up-to-date and you can safely book online via our secure booking system. You can pay by credit or debit card and there are no additional card charges when you pay on line. 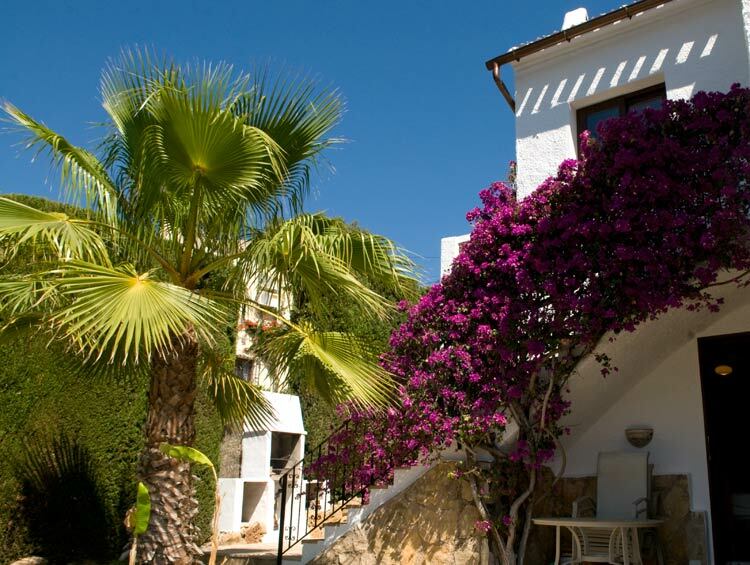 Villa Ines Isabel in Javea is situated in the Adsubia/Pinosol area, just 3 Kms from the Arenal beach area. 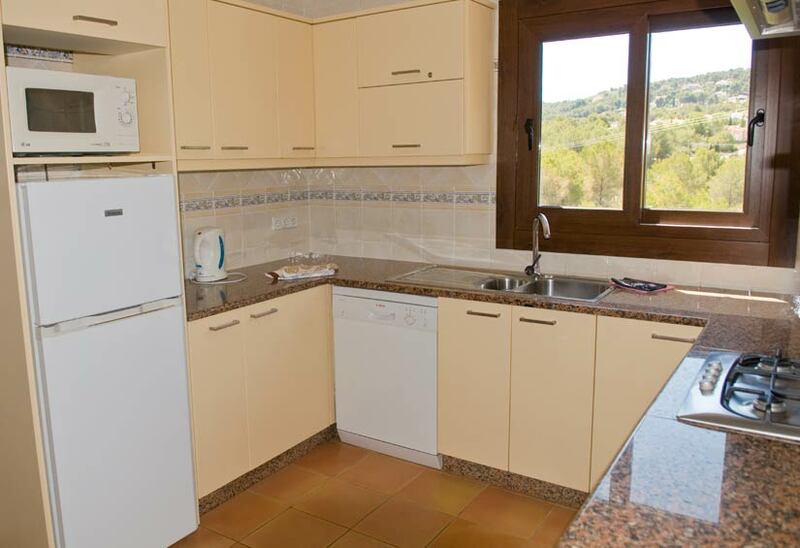 The Consum supermarket is less than 2 Kms away, and you have three restaurants within walking distance of the villa. For the younger members of the family you have a park nearby with swings, climbing frames etc. Payment terms are 30% when you book to confirm your reservation and the balance 8 weeks before your holiday. If you are booking within 8 weeks of your holiday you will have to pay in full to confirm your reservation. 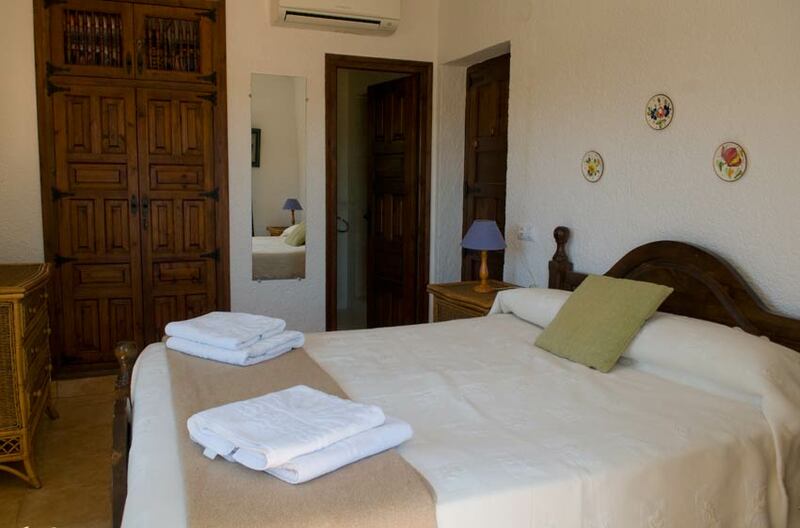 We offer a 10% discount when only two people occupy Villa Ines Isabel for the full duration of your holiday. *Sorry, only for stays of one week or longer.